1 portion (1 capsule) 30 minutes before sleep. Dosing may be very flexible, depending on the needs. The above indicated dose may work well for the support of the quality of sleep. It may be used also in the morning, when we are troubled with the problems of low serotonin level – lowered mood, anxiety etc. Do not use for a long time without consulting your doctor. The best option is to use on ad hoc basis. Dietary supplement ginkgo biloba extract. It improves memory concentration and cardiovascular system. Extract Griffonia Simplicifolia is the source derivative of tryptophan (5-HTP), an important neurotransmitter involved in the synthesis of serotonin, and indirectly affects the production of melatonin (the hormone responsible for sleep). It is used to treat depression and inactivity. In the sports supplementation it is used as a neurotransmitter responsible for the quality of sleep and improving the regenerative processes, moreover, it is a component of supplements which enhances the secretion of growth hormone and fat burners. 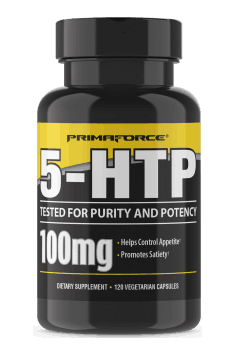 Dosage: In terms of 5-HTP from several dozen to several hundred mg per day.